A classic recipe. A memorable twist on it. 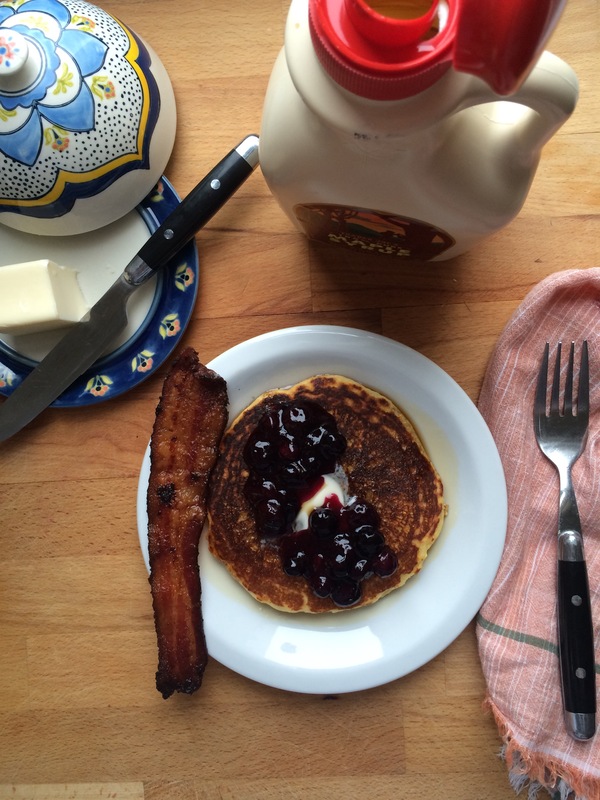 You didn’t know National Blueberry Pancake Day existed, did you? No, I didn’t make this day up … someone else did. That said, I’m more than happy to celebrate. 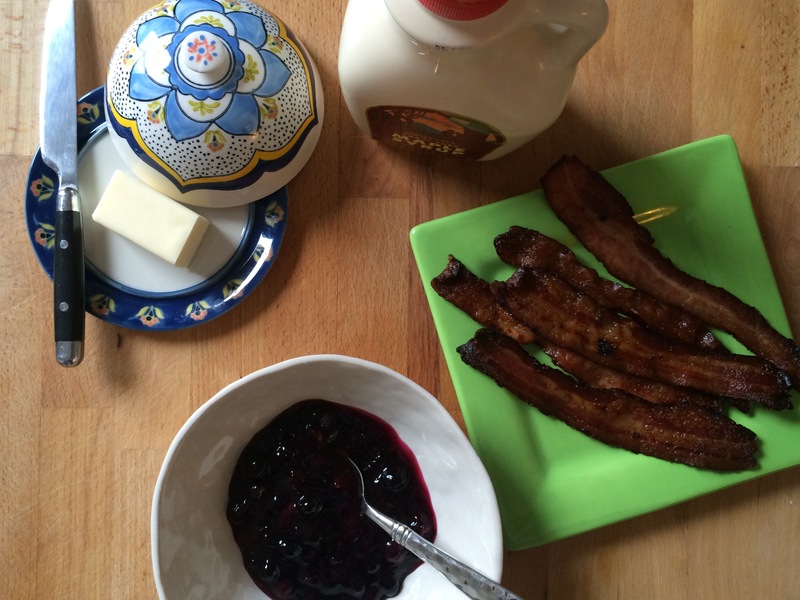 I’m also more than happy to show you a fantastically simple, not-so-typical, blueberry pancake recipe. Using a combination of all-purpose flour and yellow cornmeal gives these cakes a very nice unique texture. Crisp on the outside and fluffy on the inside. 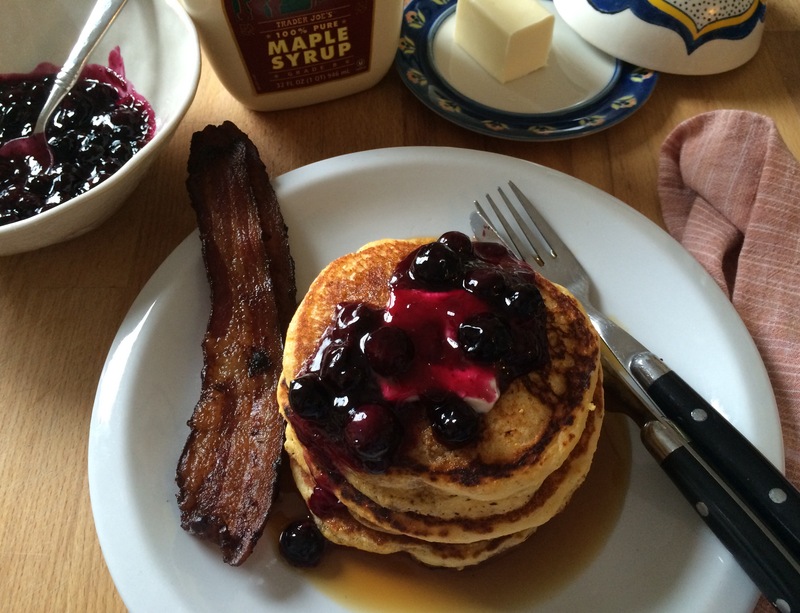 Top these cakes with homemade blueberry compote and warm maple syrup. 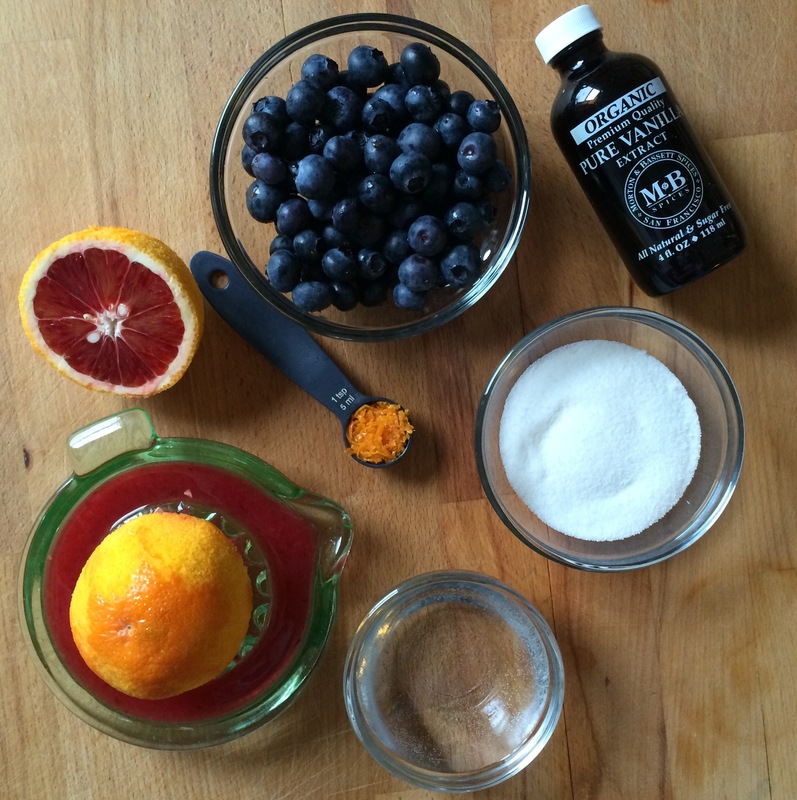 This luscious blueberry compote is made with just 5 simple ingredients – blueberries, sugar, blood orange, cornstarch, and vanilla. So very easy to throw together while you’re preparing the rest of the meal … ahem, frying up your bacon. There’s something special about a day that begins with pancakes. There’s something extra special about these. 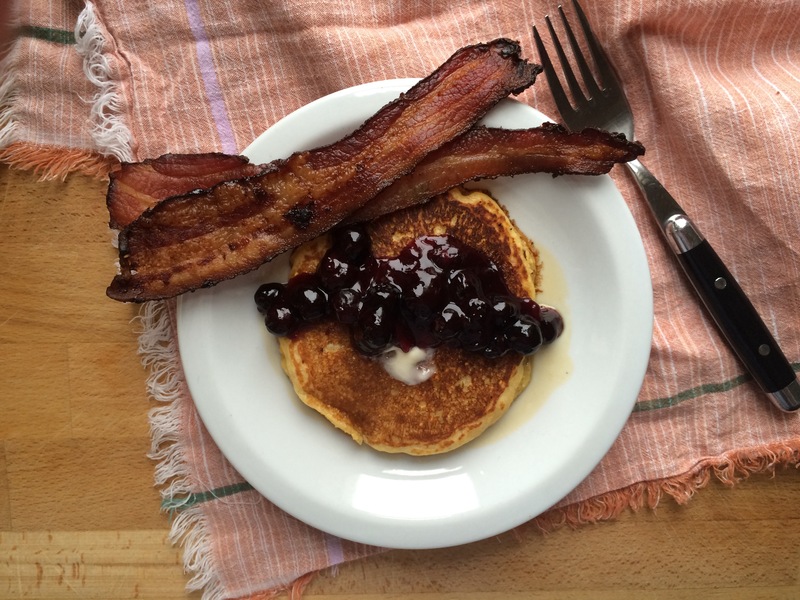 Happy National Blueberry Pancake Day!. 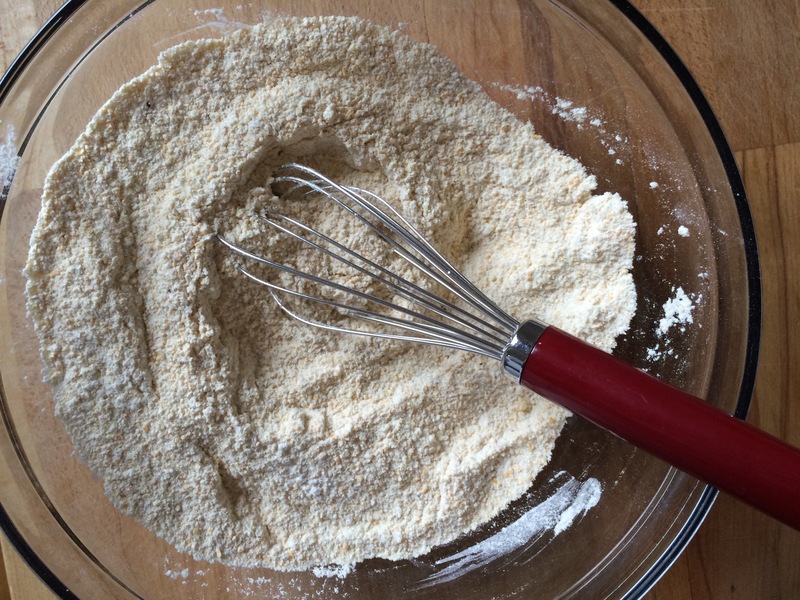 Mix together flour, cornmeal, salt, baking powder, and sugar in a large bowl. In a separate bowl, combine milk, eggs, and vanilla. 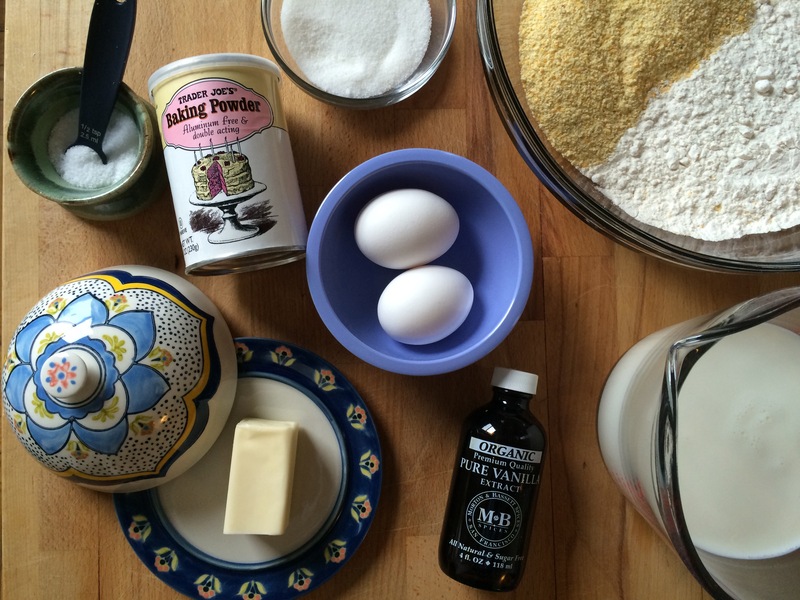 Pour wet ingredients into the dry ingredients. Stir ingredients to just combined, then stir in melted butter. If batter is overly thick, splash in a small amount of milk. Set aside for 10 minutes. Stir again. Heat 1 tbsp butter in a large skillet or griddle over medium-low heat. When evenly heated, drop 1/4 cup batter per pancake and cook until golden brown on both sides. I like to cook these cakes on a cast iron griddle to give them a crispy top layer. Once fully cooked, remove from heat and set aside. Stack pancakes, top with a pat of butter, a drizzle with warm maple syrup, and a spoonful of blueberry sauce over the top. Serve immediately when cakes are still warm. Everything is better with bacon on or in it. Looks yummy.